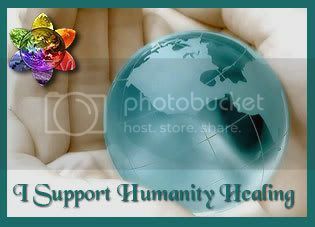 The Humanity Healing Foundation is a humanitarian, nonpolitical, nondenominational spiritual organization promoting Spiritual Activism as a means to foster Healing for communities around the world that have little or no Hope. Our projects are intended to be a vehicle for ordinary individuals to connect through their shared Humanity and give of themselves and not just their resources to make this world a better place for us all. We recognize that there are many Paths to Heal the Heart of Humanity and you will find the one that calls to you. Volunteer your time with a Charity. Accept a Good Deed and Pay It Forward. Practice Random Acts of Kindness and Senseless Acts of Beauty. Most importantly, give the best of yourself. That is the real key to making the world a better place. Well thank you for your kind words of support and encouragement. I have been following alongside and have always been touched by all the wonderful projects and efforts you have brought into my field of vision. It may take a while for me to understand all that is here as you know my brain has been rewired as I like to put it, which is why I don't join in communicating with a lot of groups. Allayah and I will do more shows as we both, like so many others expand into the new dimensions of ourselves. I will keep an open heart and the words will continue to flow. Right now I'm trying to find all those I've written so again thank you for your expressions of love as we never really know where the river will take us. Thank you :) this has been an incredible journey so far, i'm excited to see what's next. Thank you and excuse me if I made a mistake!! Blessings to you for joining our Heaven on Earth Study Group. Please consider joining forces here too: Heaven on Earth Campaign And remember, I am here to serve. Just let me know how I can help with your mission too. Love: Gary. Much Metta, and I love you both!